The Lord’s Prayer is the most famous of all prayers found in the New Testament. Many can recall learning this prayer as a child, which has likely been taught to succeeding generations too. If you have been teaching your children or grandchildren this prayer, you would be teaching more than just words to them as they recite this. You would be teaching them theology! The disciples may not have realized what they were asking to learn from Jesus with regard to prayer, but these few verses teach a lot more than the space allotted here. God’s name is Holy – God’s name is holy and is to be kept in the highest regard of reverence in our thoughts, actions and words. The world may blaspheme His name and treat it as insignificant, but the Body of Christ is to treasure it greatly in their hearts as well as from their mouths. God’s will is Sovereign – All that God will do, He will do, for the glory of His kingdom that He rules over, on earth and in heaven. Our prayer should be selfless for the fulfillment of the will of God and not selfish for the fulfillment of the will of ourselves. God’s Provision is to be trusted – For today, trust God to provide for your every need. From sunrise to sunset, just as God did for the children of Israel in Exodus 16 each day, so too will He provide for you, if you trust in His provision. Tomorrow has enough worries of its own (Matthew 6:34), so, trust God to provide for today. When we come before God’s throne of grace to pray, remember to acknowledge these wonderful attributes of God throughout your prayer to Him. During these 40 days with Jesus, may your devotion to Him continue to grow more and more each day. During this season before Easter, First Assembly of God will be publishing devotional messages, in conjunction with the book 40 Days with Jesus, compiled by Randy Hurst. Members of our team are contributing short devotionals based in the campaign daily readings. 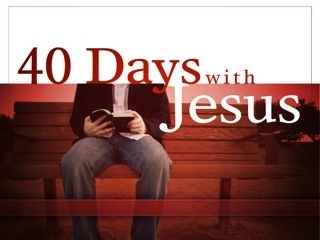 What IS 40 days with Jesus? Simply, a church-wide campaign to prepare our hearts and reach out to our friends at Easter 2011. From March 14th through Easter Sunday everyone at First Assembly is being challenged to read together through a series of daily Bible readings about the life of Jesus and the prophecies about Him from the Old Testament. Then a couple of weeks before Easter we're asking everyone to give away a second book, "The Risen Savior", to a friend or family member with a personal invitation for them to come to church on Easter Sunday morning. Such a blessing, Kurt! 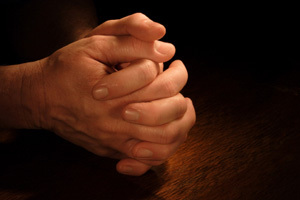 Too often people (yes, Christians) simply recite by memory what is familiarly known as "The Lord's Prayer" (when it is the Disciples' prayer really) without having any understanding of the profound theological truth within it that can only be an inspiration to us, as we seek to glorify Him mindful of its principles. You have so clearly brought out some of those precious truths, glories which have blessed and refreshed us.